Which Hawaiian Island Meets Your Needs? I’ve previously talked about which island is the best for adventure. Of course, adventure might not be the most important thing to you—perhaps you want to be pampered in a four-star hotel, or maybe you need to keep costs to a minimum. Let’s look at the islands more closely and review some useful information that will help you decide which island in Hawaii is best to visit (if you must choose just one). Ideally, your travels will take you to multiple islands—if not in one trip, then over the course several journeys to enchanted Hawaii. Each one really does offer something so unique and special. You should visit several if at all possible. Even if you’ll be island hopping, you have to start somewhere, so today’s newsletter will help you to narrow down your wants, needs and desires for the perfect Hawaiian vacation in the destination of your choice. To begin, let’s consider some things that might be important to you in choosing which of the Hawaiian Islands best meets your criteria. When you visit Hawaii, you’ll most likely be paying for a place to stay. Which accommodations you choose will depend on how much space you want in your guest room, the atmosphere you envision yourself surrounded in, the amenities that are important to you and, of course, your budget. If you like staying in luxurious resorts, you’ll find them on most of the Hawaiian Islands. However, Maui and The Big Island are particularly known for their sprawling properties with lush greenery everywhere. Also, these resorts often have all-inclusive features, meaning you never have to leave the property if you choose not to. You’ll find most of the traditional-style hotels, including high-rises, on contemporary Oahu. Maui has its share of hotels as well and is an excellent choice for travelers who want a blend of modern and native aspects in their Hawaiian vacation. Many visitors to Hawaii are traveling with families, and vacation rentals with full kitchens and residential-type living spaces are often popular. You’ll find these kinds of accommodations mostly on Kauai and Maui, with a few available on The Big Island and Oahu. Let’s face it: Although we would all love to travel wherever and do whatever we want, sometimes we need to work within a preset budget for lodging, airfare, meals, excursions and so forth. 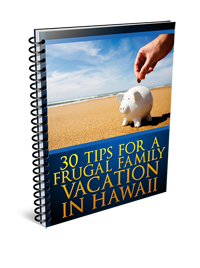 Hawaiian vacations are generally in the mid-to-high price range when it comes to total money spent, but if your budget is a concern, you can certainly save while enjoying an authentic Hawaiian experience. 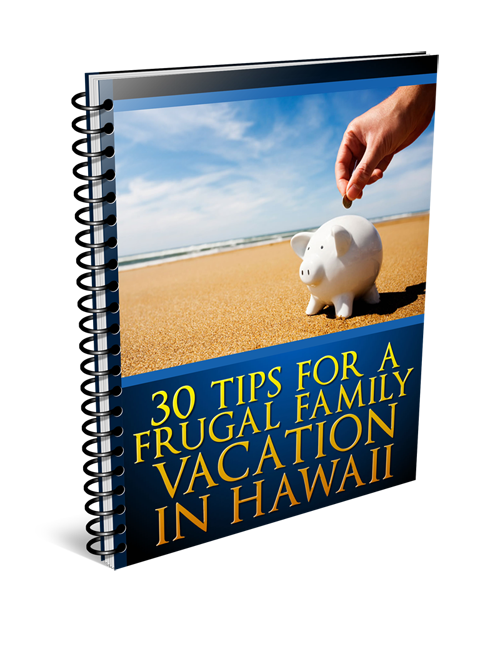 If money is no object, you have the entire Hawaiian world at your disposal. You’ll be able to splurge on a lavish place to stay, sign up for guided tours, dine at the finest restaurants, and do so much more on any of the Hawaiian Islands. When you’ve set aside a decent amount of money for your Hawaiian vacation, but still need to watch what you spend so you don’t go overboard, you’ll find Oahu to be a wonderful island to visit. There your vacation dollar will be of pretty good value. Maui is next in line for Hawaiian Islands to visit when you need to balance budget with features. There are tons of 2- and 3-star properties on Oahu. You’ll also find the most eateries, adventures and sightseeing opportunities that can be enjoyed on the cheap on this island. Public transportation is best on Oahu, which makes it possible to take many self-guided tours of island attractions. By nature, Hawaii is filled to the brim with great things to do and wonderful places to see. Often, planning a trip is just a matter of randomly choosing one from the rest when you visit Hawaii because all of the activities are absolutely spectacular. Hawaii has some of the best beaches on the planet, with cool blue waters and soft sand that is found in incredible shades of black, white, green and even red. If you love a good beach, Maui is the island that has practically everything you need for a perfect day of sunning, snorkeling, surfing, wildlife viewing and much more. There is a lot of variety in the food offered on each Hawaiian island, ranging from casual to elegant and from seasonally farmed to fast food. Again, Maui is our top choice for a great combination of local and authentic cuisine. If variety is your only concern, the vast number of restaurants available on Oahu will surely please your palate. Hawaii may just be one of the most beautiful places on Earth, and depending on which Hawaiian island you visit, you’ll enjoy breathtaking scenery like snow-topped mountains, glorious beaches, lush rainforests, expansive volcanic craters, rolling green hills, fertile valleys and even bustling cities. If you can only visit one island, yet want to take in as many of these natural wonders as possible, consider visiting The Big Island or Maui. Each one offers a bit of every landscape that you can hope for on a perfect Hawaiian getaway. After you’ve given some thought to which island best suits your style, budget and sense of adventure, start thinking about how you’d best like to explore the island of your choice. Get a head start now by asking yourself what kind of memories you want to make. 10th June 2014 9:14 pm Simon Comments Off on Which Hawaiian Island Meets Your Needs?